We know that small details matter, from the smallest railing to the largest new home construction project. You can trust that we’ll pay attention to the small details and the big picture. Broad Cove Builders serves its customers, building custom homes and providing renovation services in Midcoast Maine since 1986. 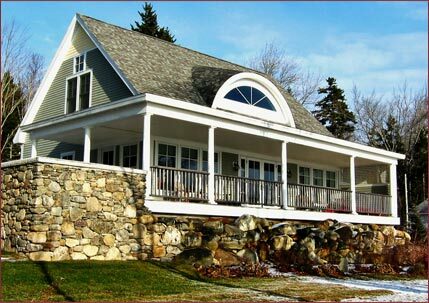 Broad Cove Builders has been building custom homes and providing renovation services in MidCoast Maine since 1986. We are passionate about working with our customers and design professionals step by step to bring their visions into reality. We know whether a first project or one of many, selecting a builder who understands your vision and is committed to meeting your needs is key. From initial consultation, cost analysis, design input, permitting, and all phases of construction, our goal is to deliver a positive experience and a superior finished product. So, if you are planning to build, add-on, or update in MidCoast Maine, let Broad Cove Builders help you with all your project needs. Attention to detail. It’s what makes every building project run smoothly and stand the test of time. Our goal is to deliver a positive experience and a superior finished product. We understand the importance of meeting our customers budget needs while at the same time always looking for ways to exceed expectations. Whether you are renovating an entire home, remodeling a kitchen, a bath or adding extra living space, we can help you do it while honoring the design of your original home. For over 30 years, Broad Cove Builders has worked with its clients to create or remodel garages that perfectly meet their needs. Broad Cove Builders has helped a number of horse owners create barns and riding areas that meet the unique needs of equestrian enthusiasts. Whether you want to add a new porch, replace a deck or anything in between, we’ll help make it happen all the way from permitting until the day you’re ready to put your feet up on the railing. Whether to create a whole new look for your home, garage or barn or to repair or replace an exterior that has simply lived out its life, let us help you with the process.